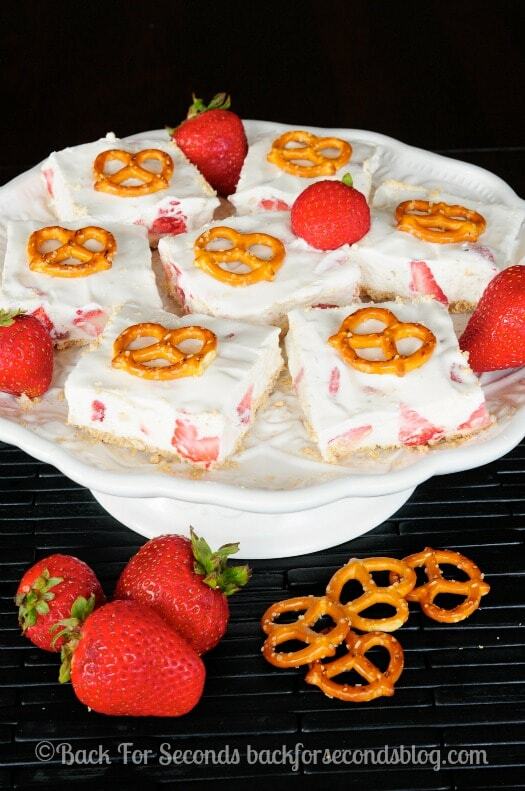 Strawberry Pretzel Bars are an easy and delicious no bake dessert that everyone will love! 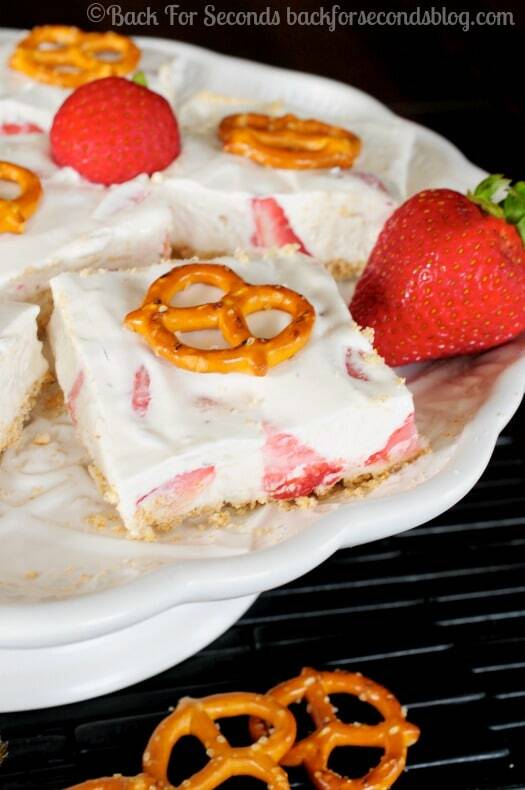 Cool, creamy strawberry filling over a sweet and salty crust! Yum! This is the perfect light dessert to enjoy on a hot day. 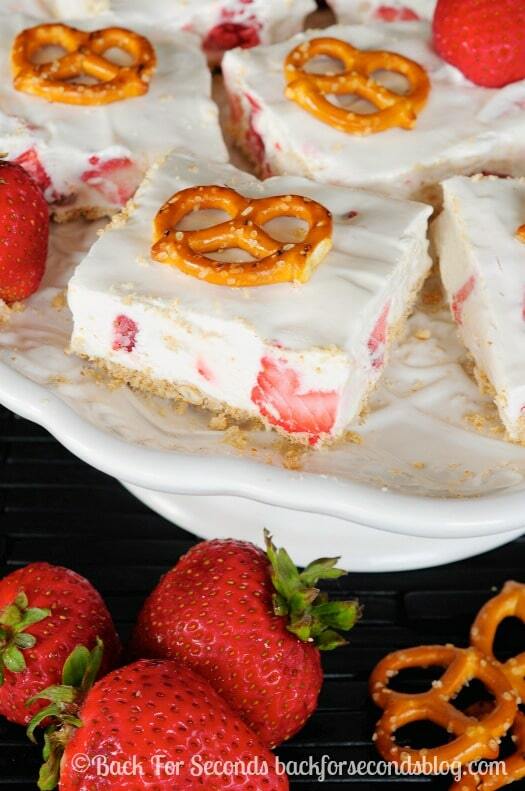 It’s no bake (yay!) 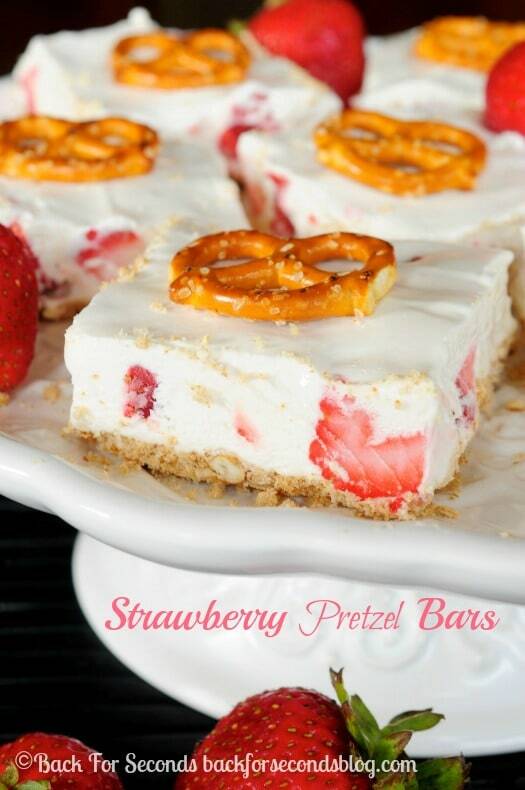 and is a great way to use those sweet summer strawberries! You can serve these bars straight from the fridge, or if it’s a really hot day, try them frozen! We have had a surprisingly mild summer. Sure some days have been hot but we have had a lot of days where a jacket was necessary! Crazy! Ok, there is one left in the freezer and it’s calling my name. See ya next time!